A BUBBLING CAULDRON: What's With Gary Monahan And The Senior Center? What's With Gary Monahan And The Senior Center? At it's next meeting on Tuesday, January 6th, the Costa Mesa City Council will hear a pitch from recently re-elected council member Gary Monahan on his proposal to establish some kind of a committee for the purpose of assessing the Costa Mesa Senior Center in anticipation of the extension of the agreement with the Senior Center Board to continue to operate The Center when the current agreement expires in 2010. We're not quite sure what Monahan is up to with this proposal. Based on his application for the creation of this new committee, his intentions seems sincere. On the application form, which is part of the exhibits attached to the staff report for this agenda item, under "Task/Objective" he wrote the following: "Review & Enhancement of Senior Community Center Programs & Services & recommendations for the Next Terms & Conditions of Contract between the City and Corporation. Committee recommendations will be subject to ratification by the City Council and/or the Board of the Senior Corporation, as necessary." That seems benign enough. Monahan plans for this committee to be comprised of two city council members; two Center Board members; three "at large" members (one Chamber of Commerce representative, one Senior Center volunteer representative and one at-large community representative) as voting members. 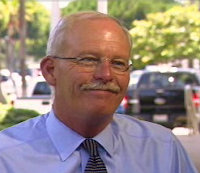 He plans for non-voting members to include the Senior Center Director the Costa Mesa Recreation Manager and some nebulous mention of "support staff services". Oh, yes... Monahan has indicated that he would want to be one of those city council representatives on the committee. "Should the City Council choose to support implementation of the proposed Committee, it will only move forward with the support of the Board of the Senior Corporation. The City does not maintain unilateral authority over the Corporation or its Board, so cooperation between the parties is essential. At the conclusion of the Committee's work, there will likely be action items requiring City Council approval; some requiring action by the Board of the Senior Corporation and still others that require approval by both entities. Consequently, there are no binding actions as a consequence of establishing this Committee - simply opportunities." If Roeder's comments are accurate, regardless what the result of efforts of such a committee might be, the Senior Center Board is not obligated to follow any recommendations generated by this activity. It looks to me as though there's a little something for everyone, even just using this brief, partial list of services as a guideline. The average monthly attendance at the Senior Center ranges from 2400-4100 over the past year. The second report compares the Costa Mesa Senior Center services to those of several neighboring cities. I was even more impressed to see that our Senior Center provides a much broader array of services, by far, than neighboring cities. Based on these reports it seems to me that our Senior Center Corporation Board and it's staff must be doing something right. 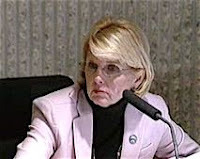 I fear that Monahan's request for the establishment of a committee to "study" the Senior Center may just be an extension of Wendy Leece's recent witch hunt, in which she seems to have responded irrationally to the gripes of one or two malcontents at the center - I hope not. SCHEAFER REBUTS CLAIMS AND REJECTS "THE MOUTH"
The Daily Pilot recently produced an article about Monahan's plan, which can be read HERE. In response to the recent negative publicity about The Center, former council member, current Board member and past President Mike Scheafer penned a letter to the editor that appeared on the pages of the Daily Pilot Sunday, and can be read H ERE, in which he rejects the assertions recently published and also takes square aim at The Mouth From Mesa North, the yapping hyena who has produced many critical blog entries over recent weeks implying mismanagement of the center at least and fiscal fraud at worst. It's quite clear from those blog entries that The Mouth is determined to oust the current leadership of the Senior Center. It's also clear that he continues to exercise significant influence over members of the City Council. IS THIS PO LITICAL PAYBACK? 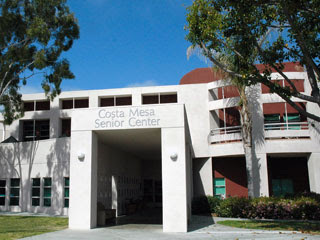 In the meantime, visit the Costa Mesa Senior Center site, HERE, to see for yourselves just what a wonderful array of services are being provided to us seniors here in town. "Okey Dokie, folks, here I am bailing out another numbskull tempest stirred up by a councilmember with a fender for a forehead. The City of Costa Mesa NEEDS a senior center to serve an important constituency in our town. BUT, we do NOT have the resources to operate the thing ourselves. Therefore, it is in the taxpayers' interest to have the Senior Center run by a non-profit board, which is responsible for securing the lion's share of its operating capital. We have sound reporting mechanisms in place that have been successful, (barring the persistent complaints of a few - and I emphasize FEW - members) in protecting the taxpayers interest/investment in the Senior Center. In other words, if it ain't broke, don't fix it. We'll do this committee only if the Senior Center Board agrees (and we know they won't). Can we please move on to IMPORTANT stuff like figuring out how to keep ABLE in the air? Byron! Stop! My stomach hurts from laughing so hard! I, too, suspect Roeder would write as you suggest... I guess we'll find out tomorrow evening - for those of us who stay up until the end of the council meeting, that is. By the way, it is truly ironic that our good neighbors over in Newport Beach are about to demolish their own Senior Center and replace it with a brand, spanking new $20 million facility at the same time that Wendy Leece seems determined to at least figuratively destroy our center. Let's hope that the discussion at the council meeting Tuesday is calm, rational and results in NO new committee being formed. It is an unnecessary, wasteful and disruptive event that will only add to the agitation that already exists because of Leece's witch hunt.